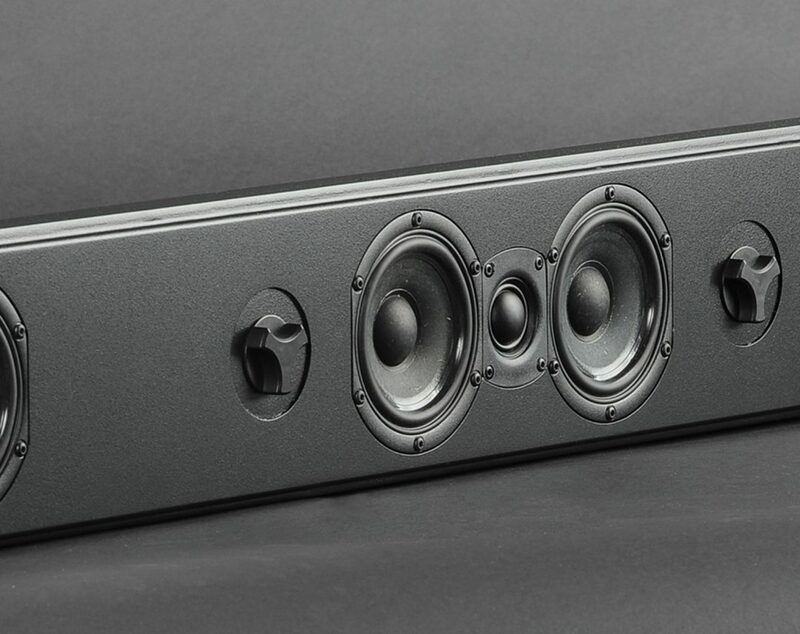 By popular demand, we have designed a new upscale version of one of the most popular speakers in our history, the OnWall Mini LCR 3.0. 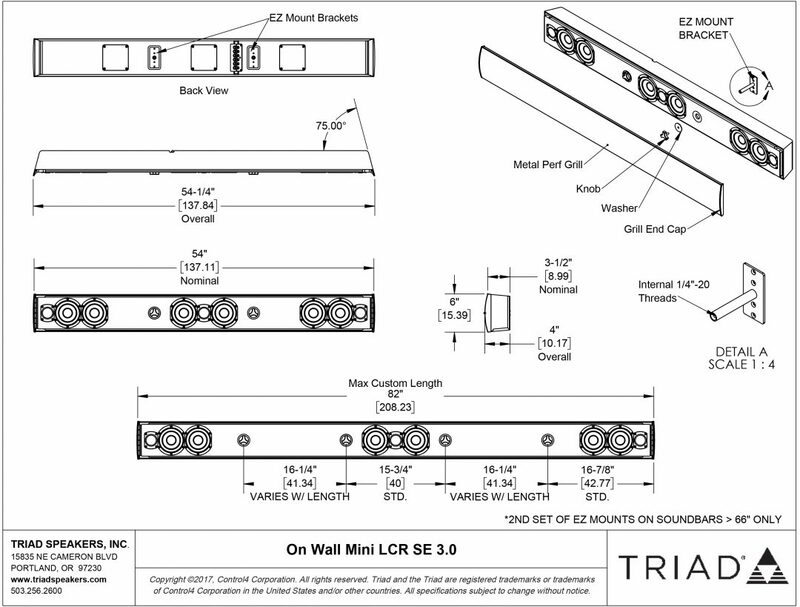 The new “Special Edition” version is called the OnWall Mini LCR 3.0 SE, and it features the same basic form, only with unparalleled performance for this genre of speaker. Unlike most 3-in-one LCRs, the SE uses high-performance drivers for great imaging, bass, and output. Behind the handsome Acoustiperf grill, there are three separate audiophile speaker systems, integrated into one clean package. 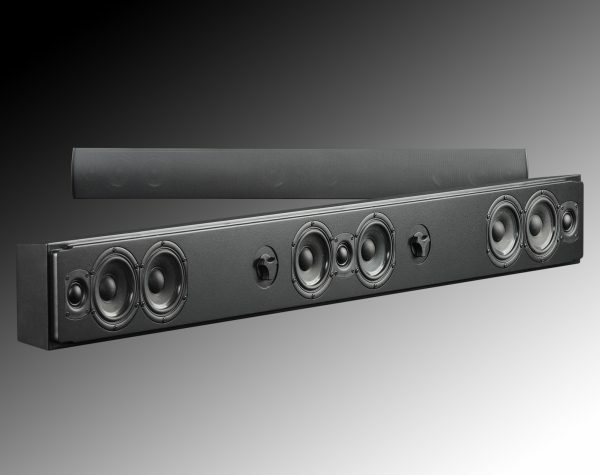 This speaker may be used without a subwoofer, but when used with a sub, it can be part of a very serious home theater system. Not only can this fine speaker be ordered in any color you choose, It can be custom sized up to 82″ (at a modest upcharge) to perfectly match your flat-screen television. 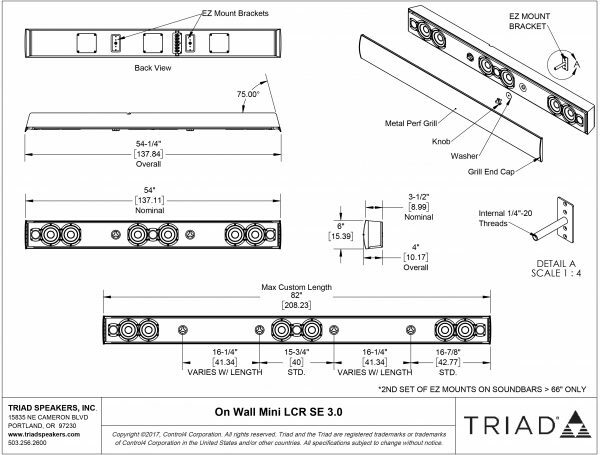 When only the best will do, choose the OnWall Mini LCR 3.0 SE.